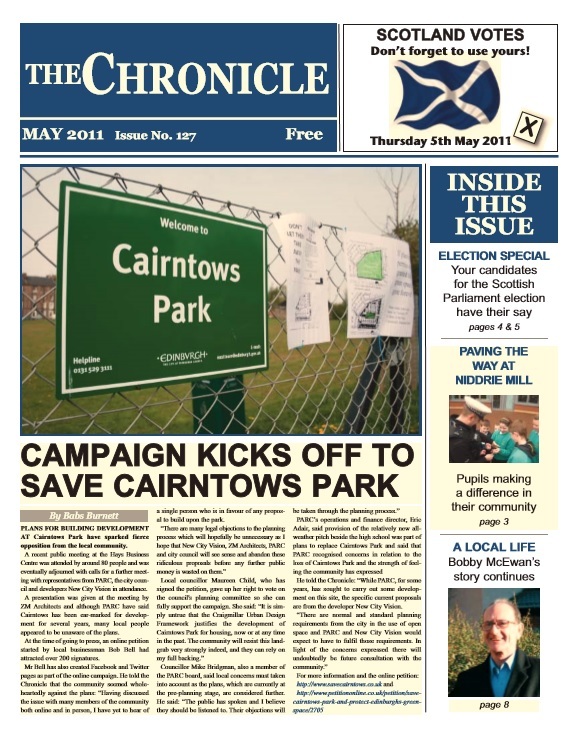 The project started when local organisations came together along with the City of Edinburgh Council with an idea to bring back the sorely missed Chronicle newspaper with an online news site. After a series of training and publicity events, we formally launched the site in October 2015. Our content is brought to you by local organisations and residents who have kindly given some of their free time to share their stories with you. Just like the Chronicle newspaper we aim to give you news and events that are happening in your area along with other interest stories and useful contacts. If there is anything you would like to see on the site then please let us know, we do like hearing from you! We are always looking for new content and are interested in any story so long as it is local, if you have something to share with us please feel free to get in touch.